What would it be like to live in a world where every day was a holiday? Well, I have news for you. 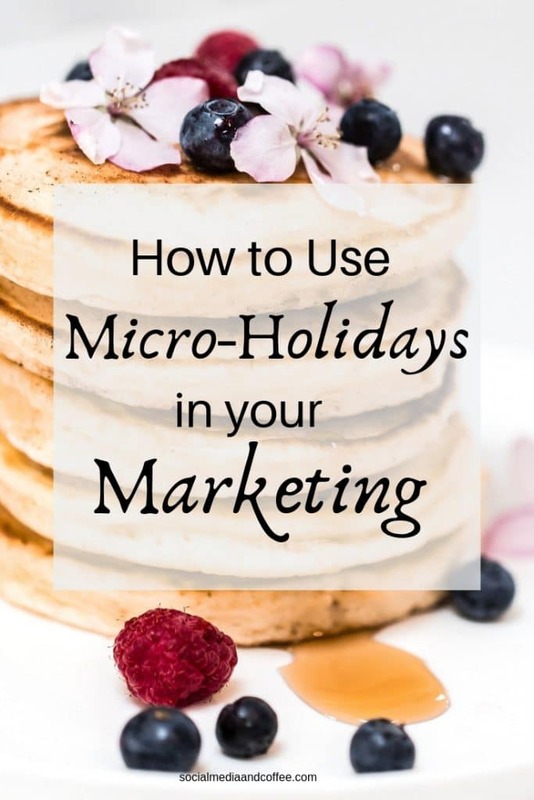 Have you heard of micro-holidays? 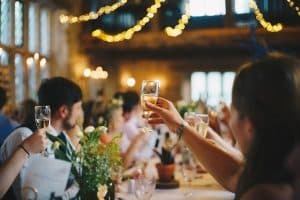 Why in the world should we celebrate these things? Because we can! That’s why. Almost anyone can come up with a fun holiday and declare it “a thing.” Make a hashtag to go along with it, and get enough people to participate, and you have a National Holiday. 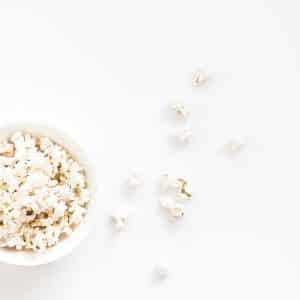 Many of the common ones you see were started by National organizations or companies with a big enough following to cause the holiday to grow in popularity. Though, most of the fun is that really you have no idea where the holiday originated! 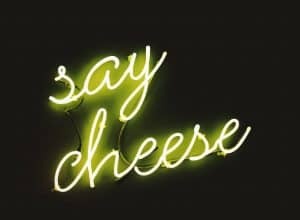 Not only are the majority of these holidays fun, (I mean, who doesn’t want to celebrate National Cheese Lovers Day?? 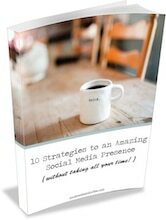 ), but they can also be a creative addition to your monthly social media plan. As you are planning your month of social media posts, consider adding one or 2 of these holidays to your rotation. 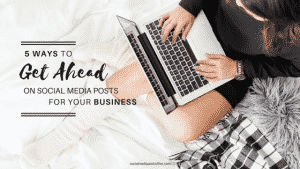 Need help planning out a month of social media posts? Head to this post for a step-by-step walk-through of the process! One of the best ways to generate engagement on your social media pages is to join in the conversation that is already happening among your audience. This means posting about things that are relevant and interesting to your specific people. When you post in this way, you MAY not even be posting about your business or anything related to it. But you ARE posting in a way that is interesting to YOUR PEOPLE. And that is what successful social media posting is all about! Crowds of people online are already posting about these micro-holidays as they come up, so you too can join in on that conversation. When you use the main hashtags for the holiday, you show up in the feed when people search for that particular tag, or when they click on the hashtag to see what posts are there. By using these popular hashtags and posting in a way that fits in with the holiday, you have an opportunity to insert yourself into other people’s newsfeeds and gain some new followers to your page. Also, these types of posts can bring some light-hearted fun to your page! Do a search for a calendar of National Micro-holidays (or social media holidays) and see which ones are coming up. 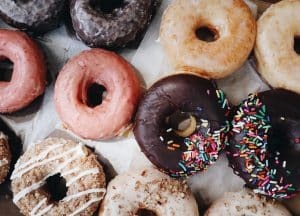 Here’s a pretty good list of ones that are coming. Pick 1-2 that your business will participate in “celebrating.” Planning a couple of posts about these holidays in a month is plenty. More than that, and you may wear your audience out! When you are selecting 1-2 to use for your social media pages, it can seem tricky to know which one is best. This is a great time to think about your ideal customer! This is a “persona” that you’ve done some research to come up with. It’s a person (usually made up!) that you have described in detail. This person loves your business and would buy every product you sell. This is the person you post for on social media. This is the customer that you create your photoshoots and your graphics for. This is your ideal customer. If you haven’t yet walked through the process of identifying your ideal customer, head to this post here. Here’s a recent Facebook Live where we walked through the steps of identifying your ideal customer. Pick 1-2 micro-holidays that your ideal customer would enjoy. It could be an obvious fit – perhaps it relates perfectly to your products. Or it could be unrelated to your brand, but interesting to your customer. For example, in the past, Krispy Kreme had celebrated International Talk Like a Pirate Day. I don’t know if you’d ever been to a participating Krispy Kreme on that day, but it was truly something! If you came in dressed like a pirate, you got a free donut, or dozen depending on the store! Talk about a donut shop, filled to the brim with kids and adults alike, all dressed and talking as pirates. Social media accounts exploded online with photos and posts from inside local Krispy Kremes. 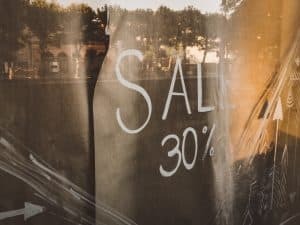 Store locations were being tagged on social media left and right. All of the social media warm fuzzies were aimed squarely at Krispy Kreme that day. And the holiday had absolutely NOTHING to do with donuts. But their customers LOVED it and participate in droves. Take a look at some holidays that are coming and see which ones pique your interest. Next, brainstorm some ways that your business can participate. Have your audience answer a question related to the holiday for a chance to win. Host a giveaway of a product related to the holiday. Have a photo contest related to the holiday. Entrants could use both the holiday hashtag and your brand’s hashtag (or one that you come up with) for entry. Show you or your people celebrating. If it’s National Hat Day, put up a photo of the crazy hats you have on in the store that day. If it’s National Puppy Day, show you and your coworkers with their puppies in the office. If it’s Fun at Work Day – well, you get the picture! Have a discount or promotion relevant to the holiday. If the promotion is applicable to a product that you sell, think of a fun way to discount that product for 1 day only. If it’s National Book Lovers Day, perhaps your book is 20% off in the online store that day. If it’s National Donut Day, all dozens are half price. Post a photo that coordinates. The most simple option of all, is to simply post in a way that is in line with the holiday. For National Relaxation Day, you post a photo of your idea of perfect relaxation. Perhaps a hammock hanging lazily by a white sandy beach, or a good book next to some coffee. Use the popular coordinating hashtag for the day and talk about why this is your perfect form of relaxation. To add some fun to your social media pages try posting about a few micro-holidays! It may be just the refreshment and engagement boost you needed. 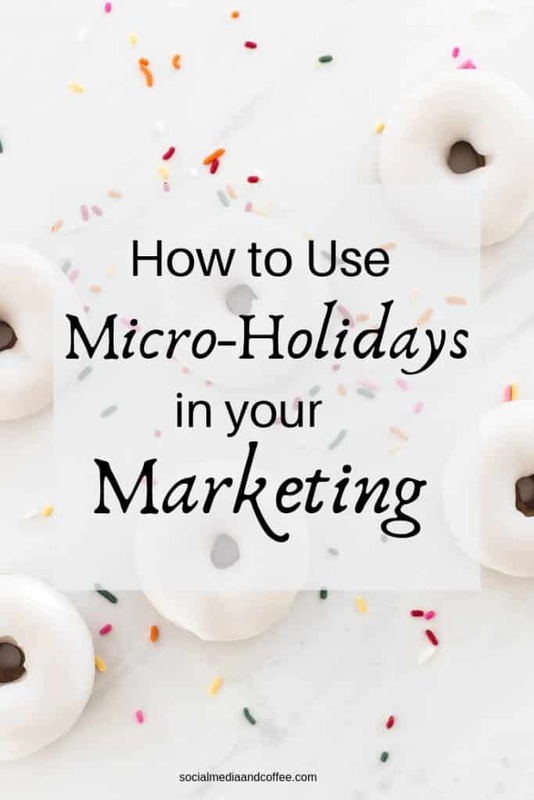 Want to remember this How to Use Micro-Holidays in your Marketing article? Save it to your favorite Pinterest board!